Something I have recently completed. 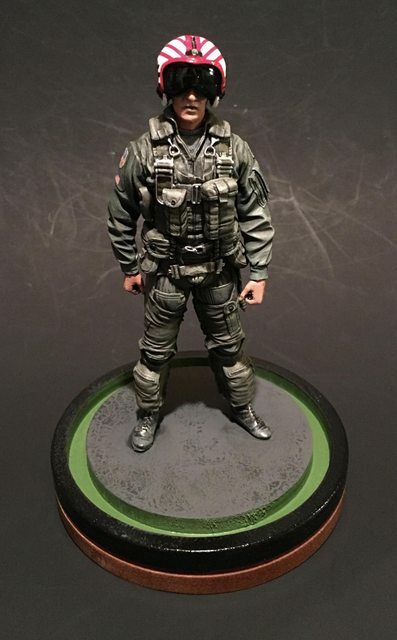 This is a resin kit from Verlinden. 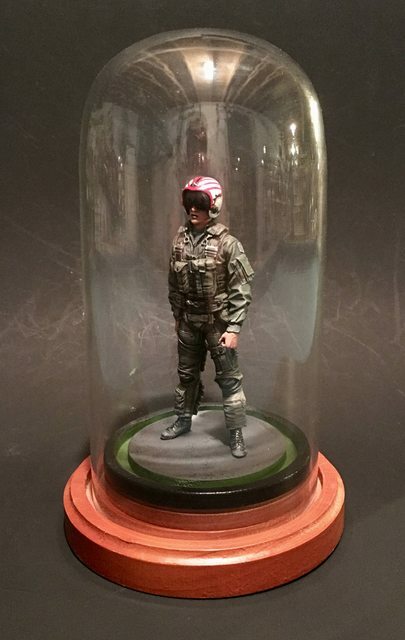 I built him straight from the box with the exception of the helmet decals and the patches on the flight suit. The display base was purchased from a local craft store. 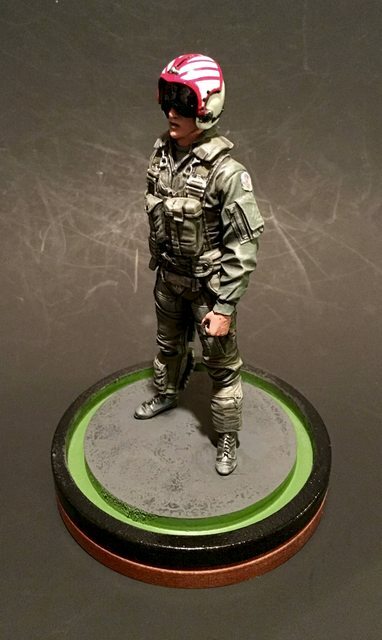 He was painted with Model Master, Tamiya, and oil paints. The base was painted in enamels and stain; with the standing portion painted with black crackle paint then covered in a pastel black dirt wash. Excellent paint work. 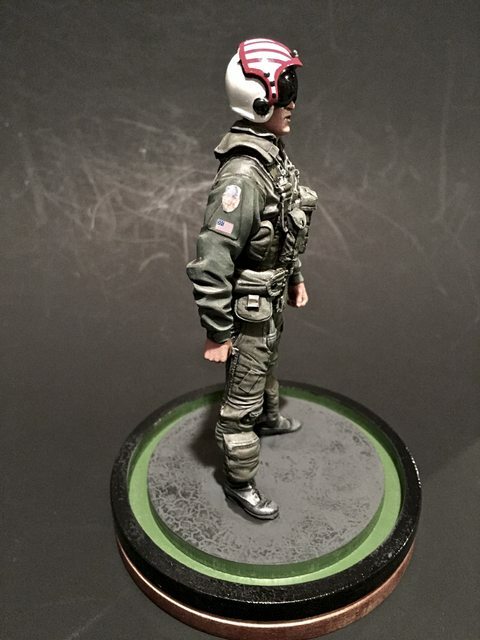 Really impressed with the shading you did to get the wrinkles in his flight suit to stand out. Also pretty nice display case. 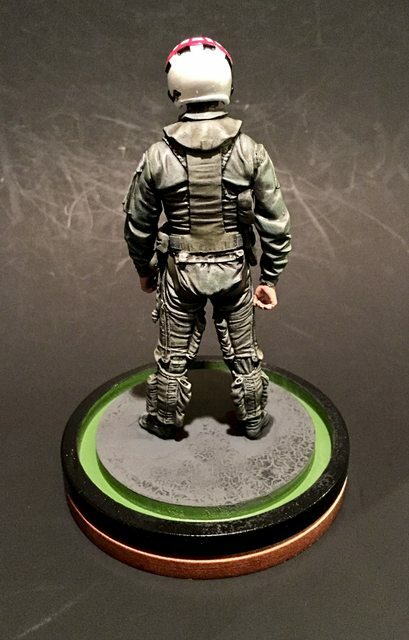 The suit shading was accomplished by mixing several darkening shades of the base paint and applying them using a force shade/sun effect. Last I added very light dry brush applications of the lightest mixes. I did the same for the face and hands mixing lighter shades into the oils. Beautiful job , very realistic . Now , when do you start on the 1/16 scale Tomcat ? very nice. i like the paint too.